I love reading the Spin Cycle at Sprite’s Keeper. It’s not a Disney blog or even Disney related, but Sprite’s Keeper posts a topic every week and bloggers write some kind of entry based on that theme. This week’s theme is picture essays. You had me at picture. Also essay. So let’s do some audience participation! Here’s your pictures. Come up with captions, short fictional essay, or just your observations about these. And special thanks to cousin Krissy for the ashtray picture! I think I must be the only person in Amerca who has never been to Disney. Always wanted to go as a child, and then when I grew up there was always somewhere else I’d rather go!So cool you’ve been and have an ashtray to prove it!!!! Ah, but the ashtray isn’t mine! 😦 It’s my husband’s mother’s cousin’s (how convoluted is that???). There are lots of people who haven’t been to Disneyland or the Mouse-in-Law (my name for Disney World in FL) but you should go sometime ;). In this blog I’m trying to do everything there is to do at Disneyland in a year, so welcome! You can live Disneyland vicariously through me :). We went to Disney and all I got was this stupid ashtray. And, I don’t even smoke. Too sanctimonious? It’s all I can come up with right now, sorry. Sanctimonious? Try AWESOME!! 😆 Great line. 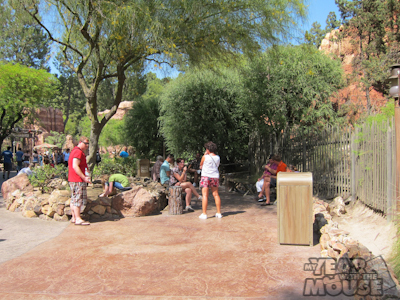 Disneyland smoking area: for those who can’t forgo their addiction for one flippin’ day and just have fun with the kids. (seriously I didn’t, had to look it up since my husband is a smoker & he’ll want to have one in between rides…. and we’re going next week). Ah, now if only that were true. I say, as a former smoker myself, move the smoking area out of the park! 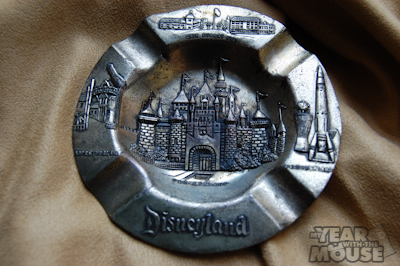 Who sat on my vintage 1960’s ashtray from Disney that cost a lot more than a regular ashtray?! Ugh, cheesy AND blasphemous. Sorry.